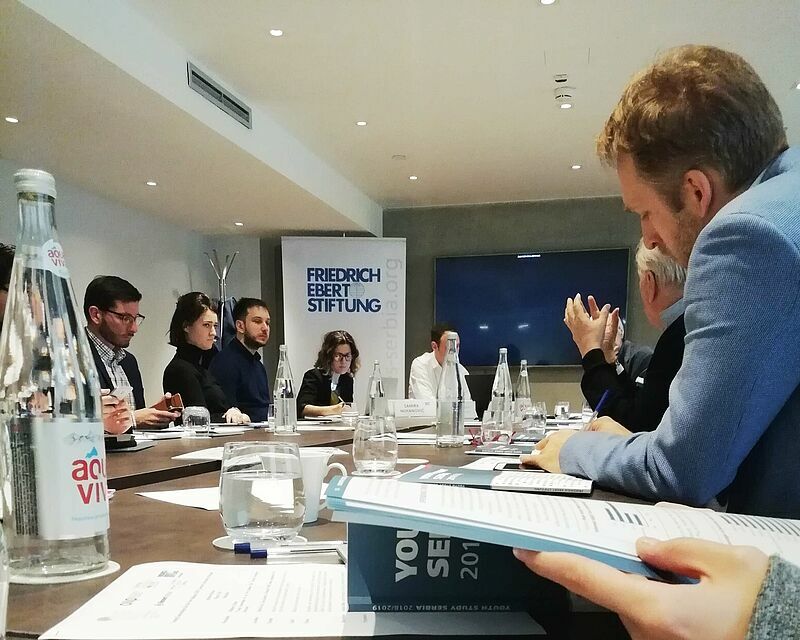 From the 12th to 13th March, a new component to the „Young Generations for the New Balkans 2030: Towards Alternative Horizons“ was held in Belgrade in a series of workshops and discussions. The event was supported by the Friedrich-Ebert-Stiftung Belgrade office as well as the FES Dialogue Southeast Europe. 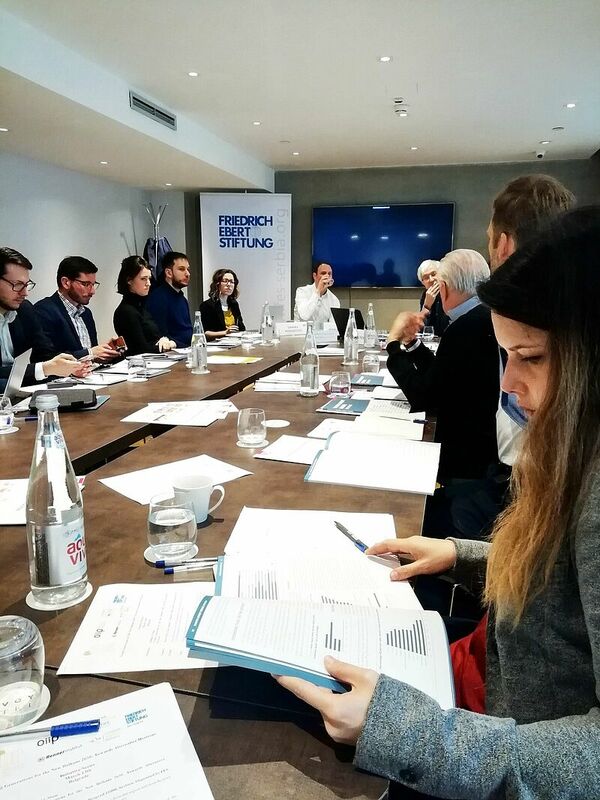 From the 12th to 13th March, a new component to the „Young Generations for the New Balkans 2030: Towards Alternative Horizons“ was held in Belgrade in a series of workshops and discussions. The event was supported by the Friedrich-Ebert-Stiftung Belgrade office as well as the FES Dialogue Southeast Europe. The attendees from different parts of the region deliberated on topics of reconciliation and emigration, EU-integration and how these different processes shape the political attitudes of young people. Alongside the FES, the initiative is organized and supported by the International Institute for Peace, European Western Balkans, Renner Institute, Austrian Institute for International Affairs and the Center for Contemporary Politics. On 13th of March, during one of the workshops, we have taken an opportunity to contribute to this event series by offering insightful messages from the youth studies conducted by the Friedrich-Ebert-Stiftung. Max Brändle, head of the FES office in Belgrade, moderated the speeches of professor Dragan Popadić, Faculty of Philosophy University of Belgrade, and Samira Nuhanović, Project Coordinator with the FES Dialogue Southeast Europe. Professor Popadić interpreted results of the Youth Study Serbia 2018/2019 especially in correlation to the Belgrade-Prishtina dialogue. The participants were taken aback by the current situation among youth in Serbia, which was examined through surveys, especially regarding the low levels of acceptance or optimism towards the independent status of Kosovo. From a regional perspective, Samira Nuhanović shared selected findings from the forthcoming regional, comparative FES Youth Study Southeast Europe, which identifies key determinants affecting the situation of youth in the region.